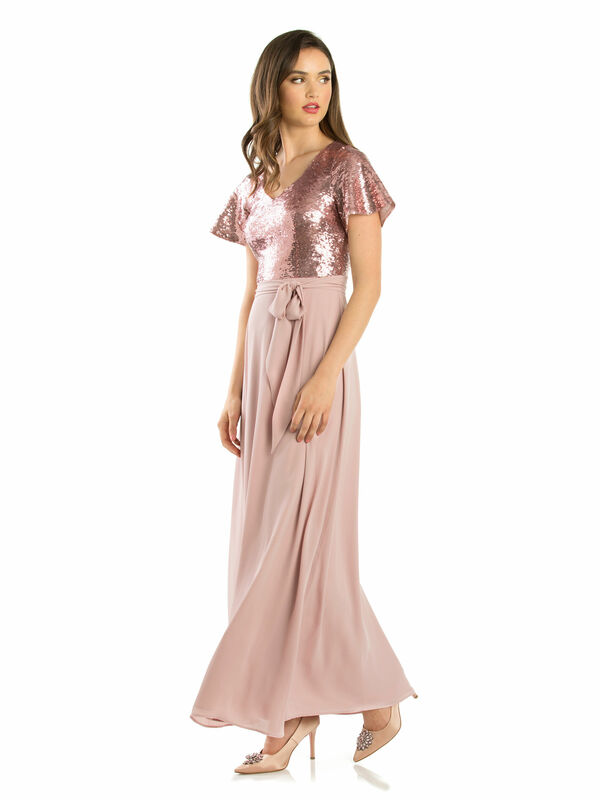 Parida Maxi Dress https://www.review-australia.com/global/parida-maxi-dress-pink/RE19DR315.REPNK058.html Sequins aren't just for party season, and this Parida Maxi Dress adds a touch of glamour to your wardrobe all year round. 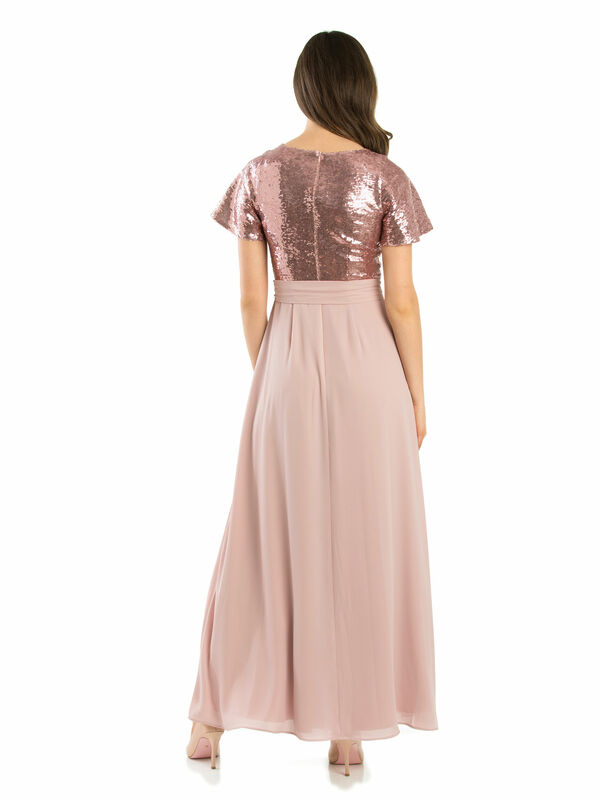 The classic maxi dress style is contrasted with a sparkling sequin bodice to make sure you steal the limelight. The flowing chiffon skirt and tie waist tone down the look slightly, yet will ensure you are always party-ready. Fitted with a back zip and slightly flared sleeves which drape effortlessly over your shoulders.